I have got a real TREAT for you today! I must admit I have spent a bit of time figuring out how to balance all the GLOWing ingredients in this vegan “cheese” as I wanted to make it really tasty for our palates but also packed with great nutrients for our beautiful bodies. So, the main shining ingredients here are organic raw walnuts and cashews which contain monounsaturated fatty acids known for their ability to raise good cholesterol. Walnuts have a high content of Omega-3 Fatty Acids which are responsible for reducing inflammation, supporting our heart and brain health, regulating body temperature, boosting our vision and memory and improving the condition of our skin, hair and nails. Great news, right! They make us beYOUtiful! Apart from the fatty acids, those nuts are rich in minerals such as magnesium, copper and manganese, just to name a few. Those minerals promote bone and teeth health, responsible for muscle contraction, assist with red blood cells formation, act as anti-oxidants, maintain healthy functions of our immune , reproductive and nervous systems. And to all those beauties, we add some anti-inflammatory garlic and lime which are great for boosting our immune system over this winter season. Don’t forget dill! Dill is my favourite herb of all as to my liking, it makes every dish tastes better. Maybe it is my Russian background…Hmm…Dill is super popular in that part of the world and there is a reason for that! Think manganese, magnesium (mentioned above) and iron and calcium, too! 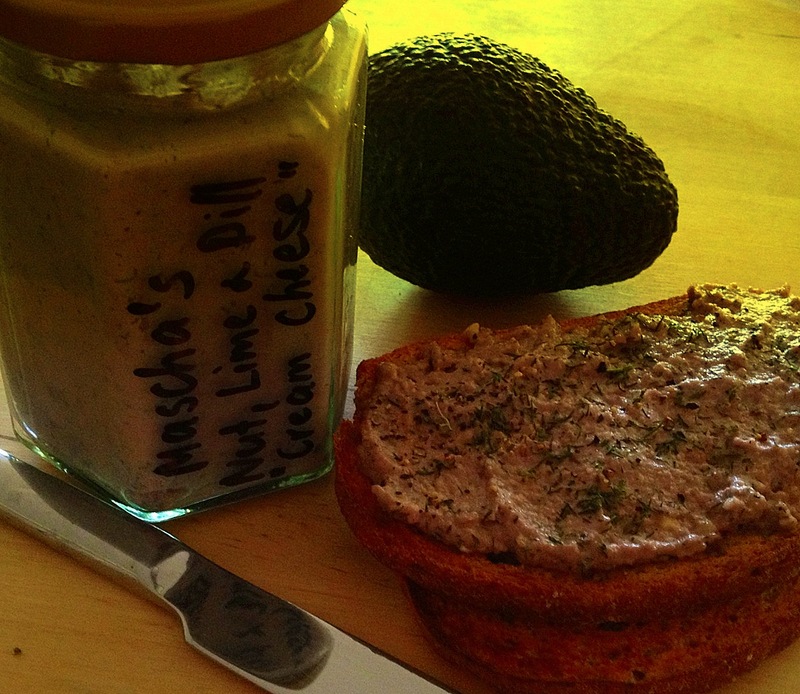 I hope you are excited about trying out my Nut, Lime & Dill “Cream Cheese”. It is super easy to make, will probably take you 5 minutes at most to make around 300ml jar of yummy delight you can spread on your favourite toast, use in pasta or as a healthy deep for your rice crackers or veggie sticks! Enjoy! Previous Post Add some CELERY & BROCCOLI into your morning juice!